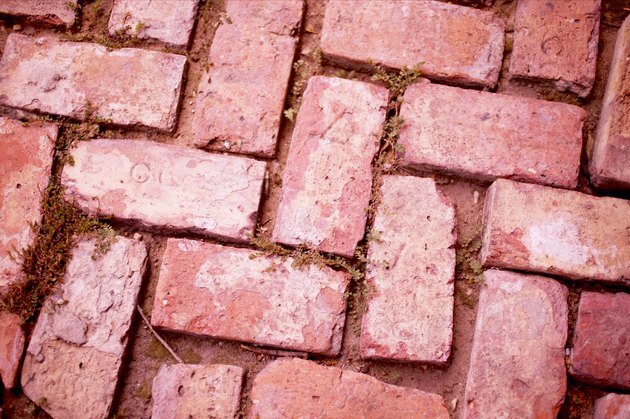 Pavers are blocks of concrete, brick or other materials you can use to build a patio. They are cheaper than stone and less complicated than a concrete slab, and they offer a flexible patio solution for many projects. However, you must prepare a level substrate and proper filler material before you start laying the pavers. With many patios, this preparation will take you right next to your house foundation. In most cases, this is nothing to worry about. You can install pavers against a foundation. You can install pavers against your house foundation as long as it is the foundation itself. This means that you can lay the pavers against the concrete of your foundation as it rises from the earth. If you find your plans require laying pavers against vents, siding or other materials, choose another patio plan. Pavers against these areas can cause rotting issues and blocked airflow problems over time. When you dig out the area around your foundation you are planning on installing your patio pavers in, rent a compacter and compact all the subsoil next to your foundation. 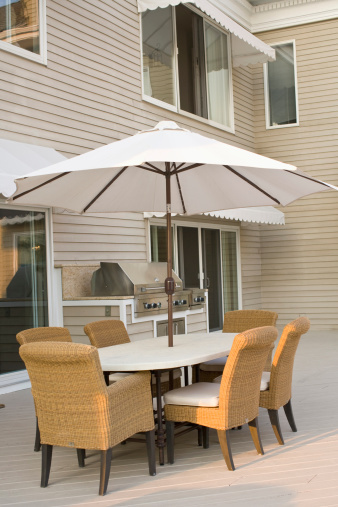 This is especially important if you have a newer house because newer houses can shift and settle down deeper, creating leveling issues with your patio. Even with an older house, compacting soil is a good idea because pavers next to the house see a lot of foot traffic and compacted dirt will keep them from sinking. Not only can you install patio pavers against your foundation, but you also can use the foundation to base your patio off of. The foundation provides a smooth and level wall, a perfect starting place for making patio measurements and basing your paver placement on. If you can, start with the foundation when you lay out your first designs and start digging. There are a few sections of the foundation you must be careful of when you are planning your patio. Do not dig out any plumbing fixtures or any pipes that enter your foundation. If you have a basement that needs a gravel drainage area to keep moisture away from the outer surface, leave this area alone and adjust your patio plans accordingly. The same is true of any electrical work connected to your foundation.